If you're a beauty lover but are forever feeling overwhlemed by the endless choice of beauty products on the market or confused over which product work best with your skins needs or hair and eye colouring, then look no further as My Beauty Matches (formerly known as My Beauty Compare) does all the hard work for you. By answering a simple questionnaire, you'll be given a set of perfect matches that suit all of your beauty needs. If that wasn't good enough, they also give you a break down of where you can buy the products and where is selling the product cheapest. You can then click the product you'd like to buy and be directed to the retailers website. Its that easy! I was recently invited to try out the website and buy some products up to the value of £100 so I could get a feel for how it works and give you guys my feedback. 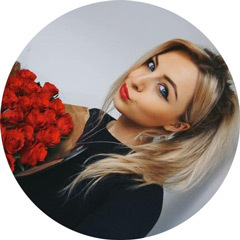 I really enjoyed using the site as it only takes a matter of minutes to fill out your beauty profile and receive your results. I found it interesting to see which products would be recommended to me and I like that they offer three 'best matches' for each product. They even recommend shades and whilst I don't think these can be 100% accurate, its a nice touch and gives you somewhere to start when looking to make a new purchase. I spent a good while look through the site and ended up picking five products with my budget. I've been using them all since they arrived a couple of weeks ago and thought I'd give you a quick overview of them all. First up is two NARS products - I'm a massive fan of NARS so when I saw the brand on My Beauty Matches, I knew I had to get a couple of items I've been lusting after for some time - the Copacobana Illuminator and Radiant Creamy Concealer. I've heard rave reviews about both of these products so couldn't wait to try them and I haven't been disappointed. I'll be doing full reviews soon but I really like mixing the highlighter with my foundation to make my skin look more radiant and the shade copacabana is a beautiful pearl shade - as you can see from my swatch below, its seriously glowy! The concealer is a bit of a cult product in the beauty world and I've been using it under my eyes as it has a fairly thick and creamy consistency but isn't cakey at all. I got the shade 'Honey' which has a peach tone and is great for covering up dark circles but I'd quite like to get the shade 'Custard' too as that's more yellow toned and would be better for brightening! Next up is another thing that's been on my wish list for absolutely ages, the Bobbi Brown corrector. I've heard its best to use a corrector under the eyes to cancel out dark circles before applying a brightening concealer and as all my concealers are fairly yellow based which doesn't cover dark circles all that well, I decided this would be perfect. I haven't had chance to give it a proper go yet but I went for the shade 'Light Bisque' which I think is right for me (its always hard to know without trying first). I'm going to do a full review on this with before and after photos when I've had a proper play around with it! Keep your eyes peeled for that. I've been in need of a new liquid liner for a while now so I decided to try the Stila stay all day waterproof liquid eyeliner in the shade 'Intense Black' as I liked the look of the felt tip style applicator - I always prefer these to brushes as they're much easier to use! I've been really impressed with this so far - its super black and so easy to use, totally fool proof in fact. 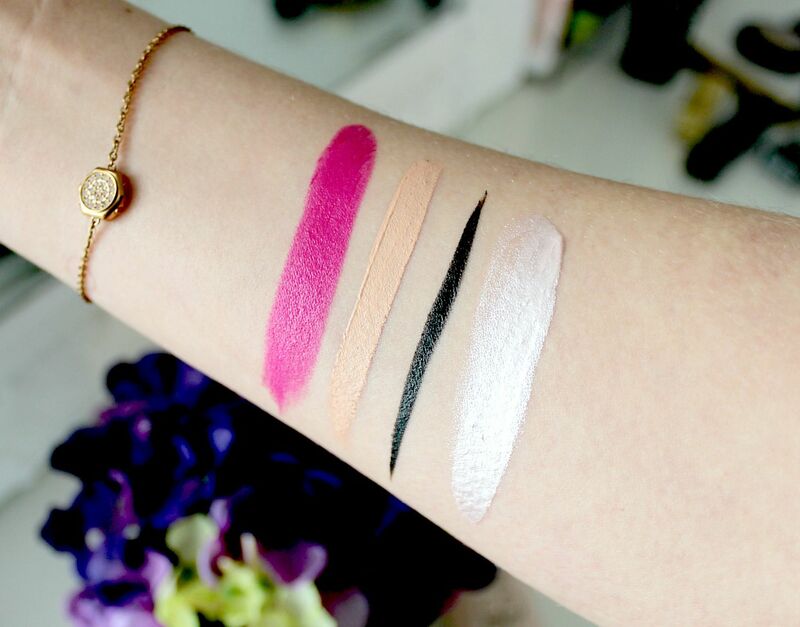 If you struggle to perfect liquid liner flicks, this is one to try! Finally, I picked a YSL Rouge Pur Couture Vintage lipstick in the shade 'No.19 Fuchsia Pink' as I already have one of the Rouge Pur Couture lipsticks and absolutely adore it. I'm not sure why this one is 'vintage' but I'm so glad I chose this as its the perfect colour for me and I already know I'm going to wear it so much in Spring / Summer. As you can see from the swatch, its a very bold shade but I love bright lips and the blue undertone makes my teeth look nice and white. The formula of these lipsticks is brilliant too - creamy with a slight sheen, pigmented and long lasting. A definite favourite! So there we have all the bits I picked up from My Beauty Matches. All of the items were delivered to me from House of Fraser, Beauty Bay and John Lewis and they all arrived super quickly. I'd definitely recommend having a look at their website and filling out the questionnaire if you want some help picking products that will match your needs! This is such a great post! I'm going to go onto the website now and see what products are recommended to me! Both those NARS products have been on my wishlist for a while now, along with the Bobbi Brown Corrector being something I want to try, I will be looking out for your reviews! Love the sound of this website, it is such a good idea! I love the NARS creamy concealer so much, it's an amazing product! I am obsessed with that lipstick color! It is so pretty! I've also been eying NARS Copacabana for a while now, I just can't decide if I want the illuminator or the multiple. Is it weird that one reason I really want the multiple of it is because of the size? The pink lipstick is gorgeous!! Ahh! 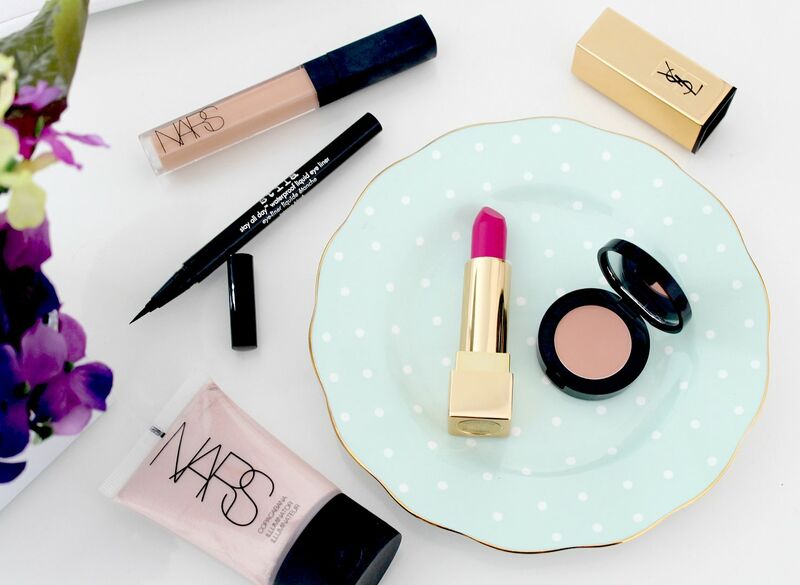 The two make-up products that are on my wishlist are the Nars concealer and highlighter! Looking forward to those reviews! Love the look of that eyeliner and lipstick too! so pigmented <3 I remember my beauty match from the my beauty compare days, would do this £100 challenge any day! #obsessedmuch hehe! Amazing idea for a website, gorgeous lipstick shade too. The lipsitck! My godness it's gorgeous! I love Nars Illuminator! Perfect for spring and summer! I've got to try that Stila liner! And that lipstick is gorgeous. The lipstick is such a nice colour. Great idea for a website. I have wanted to try the Nars Creamy Concealer for a while now! I love the products you got! This sounds like such an awesome website, but also dangerous for my bank balance with it being so easy to use! Dying to try that Nars concealer!! I totally agree! Lovely post! Aaaah girl you got the exact two products I want from NARS <3 Would love to try this highlighter! 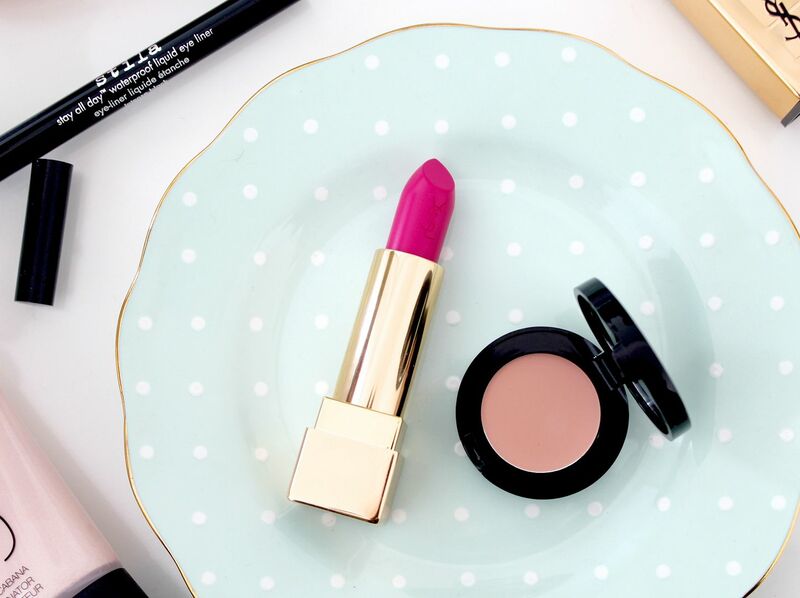 I am in love with the YSL Rouge Pur Couture Vintage lipstick, it looks so beautiful and great for spring time. 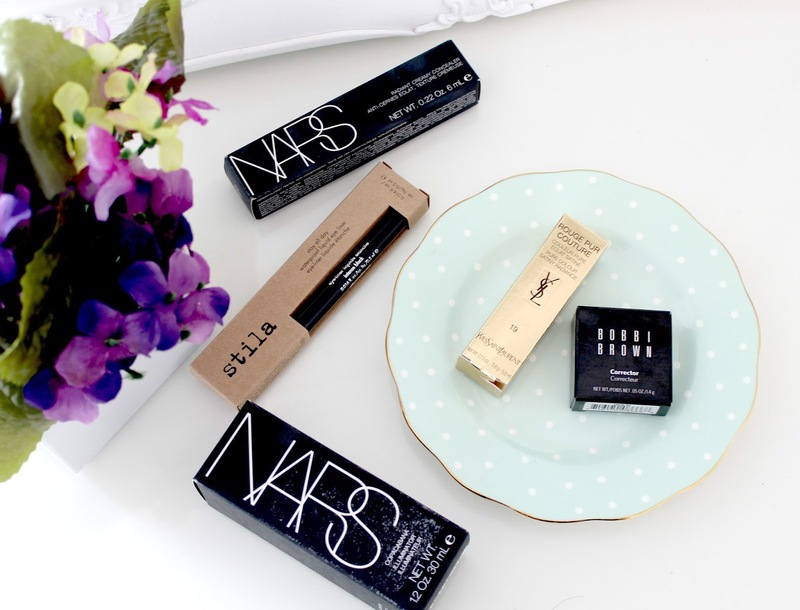 All these products are so so gorgeous, definitely made me want to try more Nars products! That website sounds great, makes it a lot more easier to shop for beauty products. I love that YSL lipstick, the colour is just so beautiful. I have this YSL lipstick! I swear by it!!!! Lovely pics! If you had to choose between High End and drugstore's products what would you pick?